Over the past 24 hours, the Tezos price has seen a more than healthy nudge in the upward direction.T hanks to an unexpected 14.03% increase, the Tezos price has returned to $1.89 again. It is a relatively steep gain, especially when considering how all other major currencies note gains in the 2%-3% range as of right now. A remarkable trend, assuming it can remain in place for more than a few hours. This particular uptrend is also fueled by a strong rise in the XTZ/BTC ratio over the past 24 hours. Despite the value of Bitcoin recovering some of its initial losses, Tezos managed to score a 12.74% increase over the world’s leading cryptocurrency. All of these changes fuel the Tezos price bull run which is taking place right now, although it is only a matter of time until people start taking profits. One thing that is slightly disappointing and worrisome is how Tezos fails to note any real trading volume right now. Despite the appeal of this project, just $3.521m in trades is not something to be overly excited about. 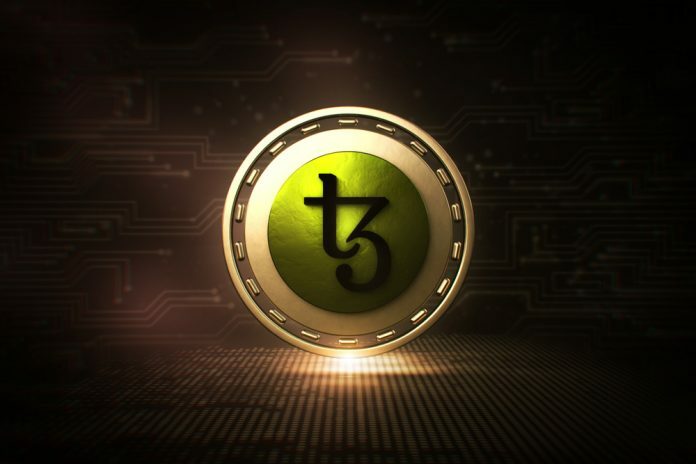 This is primarily because the Tezos token is not traded on any major exchanges just yet, albeit that situation may come to change in the coming weeks and months. Due to not being listed on any really big exchange, Gate.io maintains its control over the EOS trading volume. It has three pairs in the top five, with BTC, USDT, and ETH. These pairs combine for a total of 65.5% of all trades, whereas HitbTC takes up the remainder of the volume, for the most part. The current Tezos price on HitBTC is a lot higher compared to Gate.io, which is not surprising for such an illiquid market. Whether or not the current Tezos price push will remain in effect for much longer, is very difficult to predict. The low trading volume is not all that promising, albeit it also makes it a lot easier to “manipulate” the Tezos price across these smaller exchanges. An interesting market to keep an eye on over the weekend, although one shouldn’t expect any miracles from XTZ either at this stage.